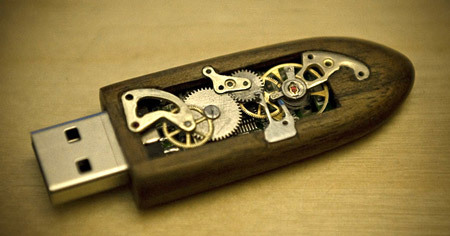 The corps of USB drives were made out of different types of wood: Ebony, Padauk and even such exotic wood as Tiger Myrtle. The creation of each device took up to 12 hours and up to 8 old pocket watches. 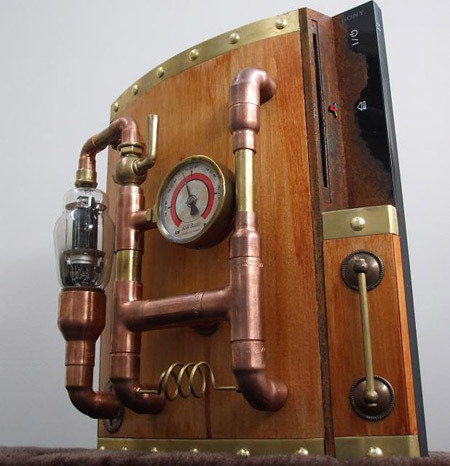 This PS3 Mod began with a wood veneer and a brass trim. After locating nails were apparent, some items such as and old radio valve, a pipe valve, a pressure gauge, assorted brass plumbing parts and some additional trim were added for an additional design. Once attached, the finish was aged with some additional coats of varnish. Telecalculograph Mk II looks more like it belongs in a brewery than on a desk at home. This mod was made by modder Jake-of-all-trades at the request of Blue Omega Entertainment to celebrate the release of the steampunk game Damnation for the Xbox 360, Playstation 3 and PC. 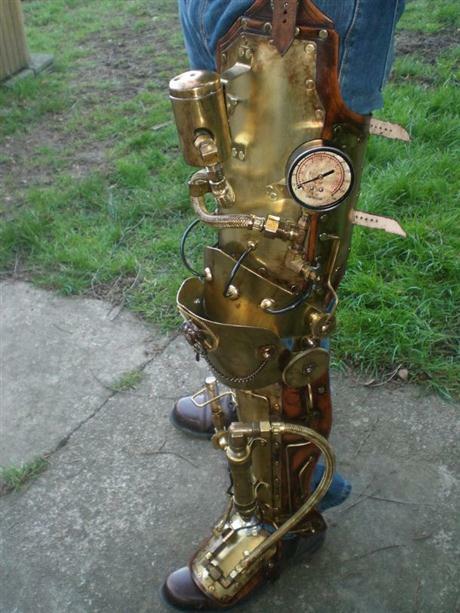 Skinz-N-Hydez made this 13-14 pound leg that looks like a prosthetic one, but is actually only a shell. He has finished the job and has added one more creative piece of art to his gallery, which is already full of his earlier works. 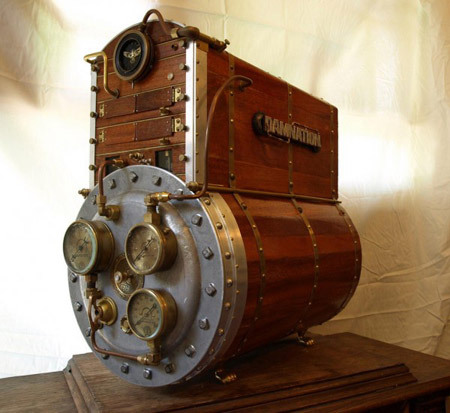 Steampunk gadget looks have always been different. 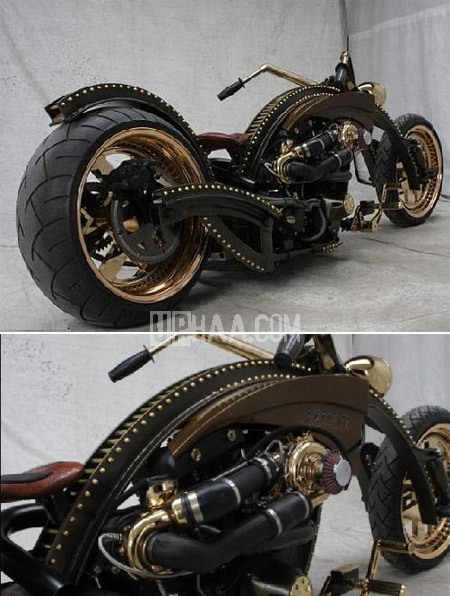 This bike even seems to have a spine of its own, that’s customized with a T-Sable Springer engine and Harley-Davidson transmission along with and gold rivet detailing all along its body.